This post is co-authored with James Blom of Data Factory Labs. Late last year Jim Stewart at True Ventures posted a piece entitled “10 Signs You May Need Finance Help” that provided a great checklist for high growth companies struggling to keep management moving at the same pace as their underlying businesses. Stewart promised follow-on pieces exploring the practicalities of his advice, but his post struck a nerve with us, as we see the impact of underdeveloped finance teams hurting many otherwise promising companies . The roots of the problem are understandable. For a new company, just starting out, finance does not need to be a priority – products and customers have to come first. However, as companies mature, and especially as they raise large sums of outside funding, the Finance function needs to take on greater importance. Unfortunately, this does not always happen. Far too many companies build up their finance team as an extension of their early bookkeeping efforts. Of course basis accounting is important, no one wants to work for or invest in a company with no controller. But there is much more to Finance than accounting. The first of those, modeling, seems straightforward enough. However, in practice what we have found is that too often the finance team can provide ample detail on historic data, but struggles to forecast into future time periods. They are certainly capable of building complex models, but models are only as valuable as the inputs. All too often, the finance team lacks the context of what is actually going on in the marketplace to accomplish that. The finance team needs to work with sales, marketing and operations to first validate and then understand the drivers of a company’s revenues and costs. In all fairness, this fails to happen as much for reasons of internal communication as it does for any failing on the finance team’s part. Nonetheless, an active finance team should understand how the numbers they see in Excel play out in the real world. A second function, Benchmarking, is less popular. The finance team should be able to provide comparisons of the company’s Key Performance Indicators (KPIs) with those of outside companies. This tends to cause a lot of controversy, no one likes to see they are falling behind (or are not as far ahead as they think). As a result, it is too easy to take the politically safe decision to ignore this role. Regardless, the finance team needs to provide objective comparisons. And while this may hurt initially, over time it will enhance the Finance team’s credibility within the company. A rigorous, and objective, Benchmarking function is ultimately in the company’s best interests, and the rest of the company will come to understand that. Perhaps the greatest obstacle we see in many companies is the failure of Finance team’s to adequately support investment decisions. This includes investments into new products and operations, new marketing initiatives, and new sales efforts as well as M&A activity. A Finance team solely built from the accounting side can all too easily get pigeonholed into the role of cost control. Someone has to say No to projects, and unfortunately the other executives saddle finance teams with this role. Instead, we propose that Finance teams need to instead provide frameworks for making investments – these frameworks can include return rate hurdles, elaborate forecasting and qualitative integration assessments. The goal should be teach the rest of the company the language of how to make smart investments. This can also be hard to do at first, but done well, over the long term it cements the finance team’s role as a partner, rather than the Bad Bogeyman with the cost whip. Finally, the Finance team should take the lead on finding ways to enhance the valuation of the company. This is particularly true for companies that plan to do someday go public. 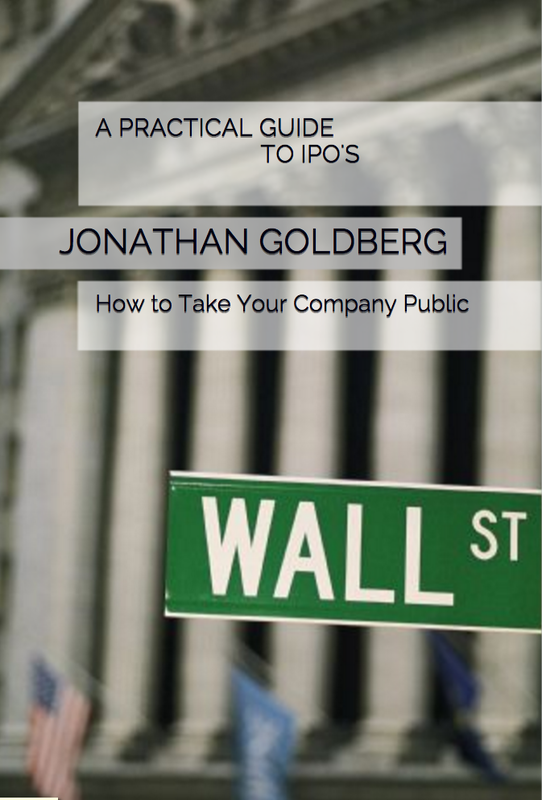 As discussed in “A Practical Guide to IPOs”, the CFO and team are likely going to end up spearheading the preparation for the IPO. So it pays for them to understand early on what investors – public or private – see as the company’s value proposition and to flag internal projects that can enhance that. For instance, a company we worked with last year launched a major new partnership with a leading sensor system company. The finance team, readying for the IPO, were early, strong advocates for this project and encouraged the Marketing team to label this as an Internet of Things (IoT) initiative. They recognized that IoT holds great appeal to investors, and in so doing were able to add several points to the company’s valuation multiple. Finance teams should inform the rest of the organization about the valuation levers they can utilize. And a higher valuation is always something that makes the whole company happier. As companies grow, they need to recognize that their Finance teams need to add many new areas of expertise. This is not as straightforward as simply hiring more people. It involves building an entirely different organization with an entirely new relationship to the rest of the company. And while this may prove cumbersome at first, over time the companies that can achieve this are able to gain a great new internal partner. In our next post we will take a closer look at what a new model CFO should look to build. Nice post. What should the role of CFO at early stage start ups like kelpie? Early stage companies do not need a CFO. They need a bookkeeper and then a controller. When a company is struggling to get its first products/customers/revenues, finance can be an afterthought. But once companies have commercial traction, and particularly once they start to take on large outside investments (which means the need to eventually provide an exit) finance starts become important. Once companies reach a certain scale, they need someone to balance between sales, ops, marketing and engineering.